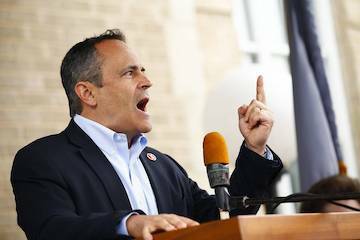 Bevin spoke at Hillbilly Days this weekend. The crowd wouldn’t stop booing. Pikeville- Kentucky Governor Matt Bevin took the podium at Hillbilly Days in Pikeville to tell the small crowd why he should be reelected to a second term. It was a pitch that touted his close relationship with President Donald Trump and his decision to address Kentucky’s pension crisis, and ensure that lawmakers fully-funded the state’s ailing pension system. Of course, it was difficult to hear over the chorus of boos. 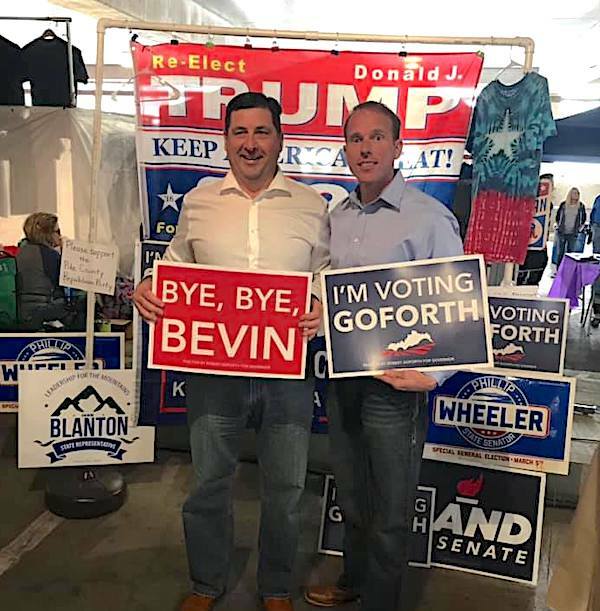 “I find it ironic that people who talk about thugs and bullies are screaming and yelling and acting like thugs and bullies,” Bevin could be heard saying while his opponents, most of whom were wearing Rocky Adkins for Governor stickers, were catching their breath. Bevin has had this coming for a long time.